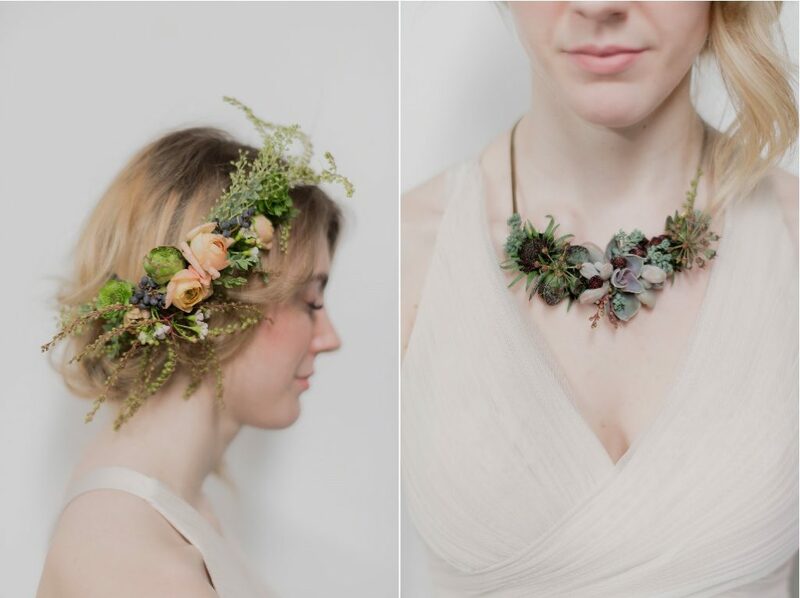 Last month, Susan McLeary of Passionflower, an Ann Arbor, Michigan-based floral artist, worked with a group of Seattle designers to teach her Floral Jewelry techniques. 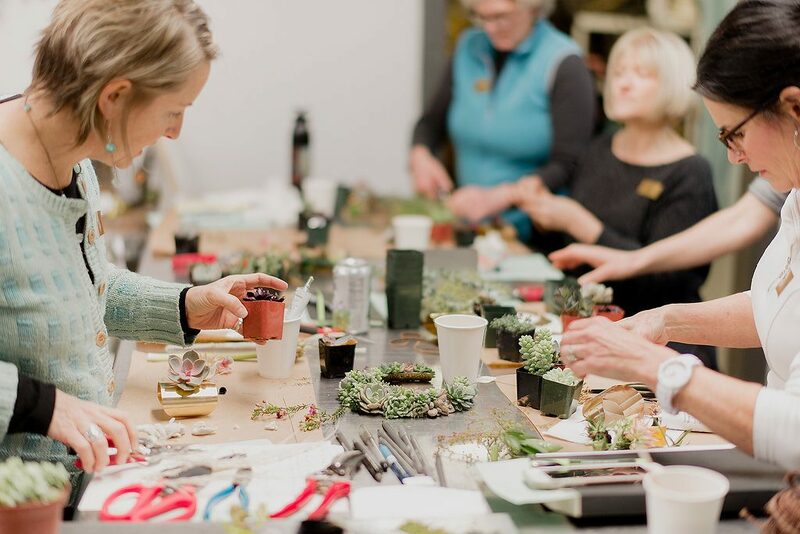 An intimate group of about 12 of us came together as part of the Seattle Wholesale Growers Market-hosted workshop, a fun, five-hour session that allowed us to get lost in the creative process with a warm and generous instructor. Let’s just say it was more than inspiring. It was a joyous experience for each of us. 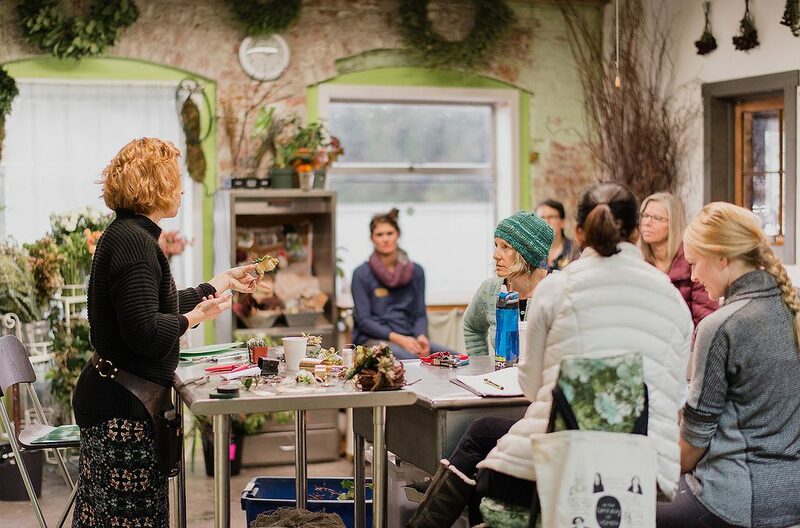 More than once, I heard someone utter: “I’m just so happy.” That is the vibe that a successful and empowering design instructor like Susan McLeary infuses into a workshop. 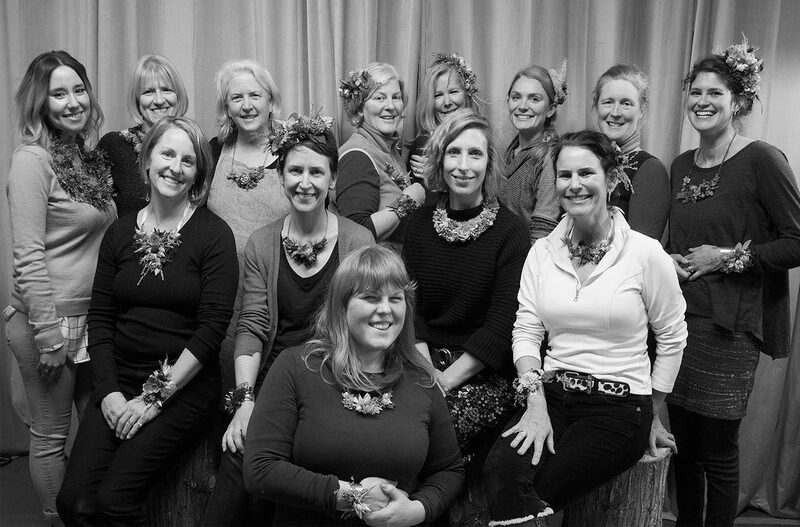 Susan McLeary (left) guided us through the jewelery-design process. We gathered inside Anne Bradfield’s Floressence studio, a few steps from the SWGMC (and considerably warmer). 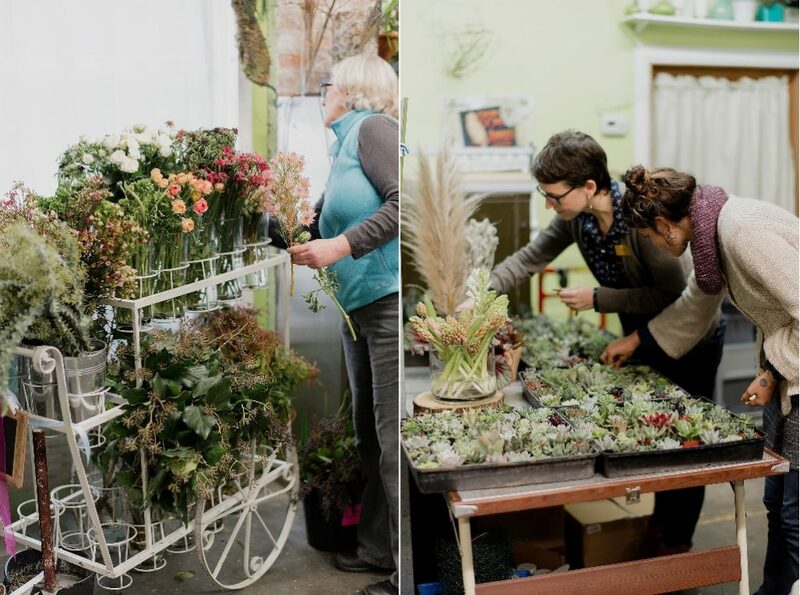 Thanks to the Market for bringing Susan to Seattle to teach this workshop and also present her designs to a larger audience of local florists the following morning. 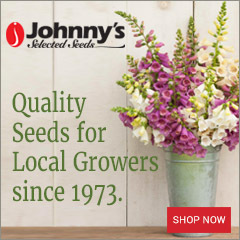 In all, a very special experience. 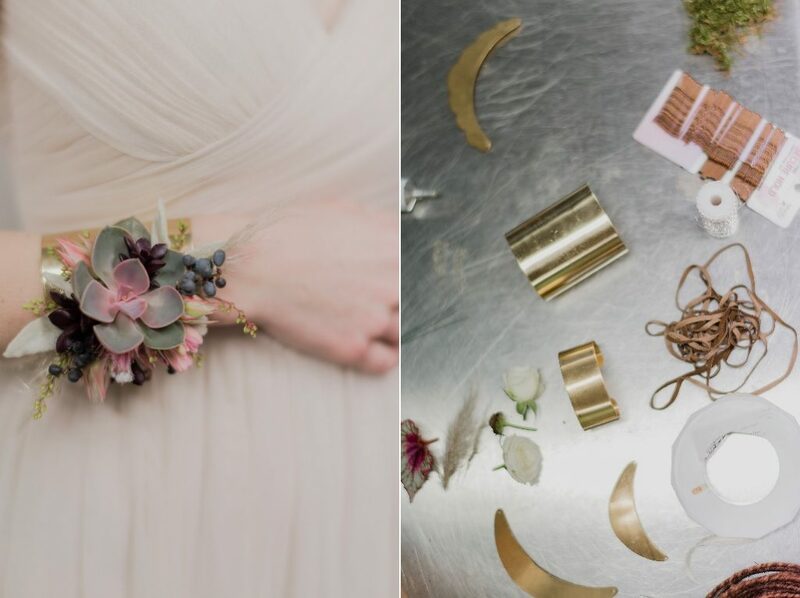 All the photos you see here were taken by Cozbi Jean Photography. 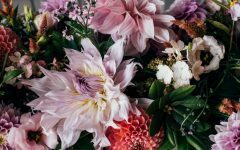 Cozbi Jean Hultz is doubly talented as both a photographer and a floral designer — woot! A plump succulent attached to the copper scallop crescent that will eventually be a necklace. 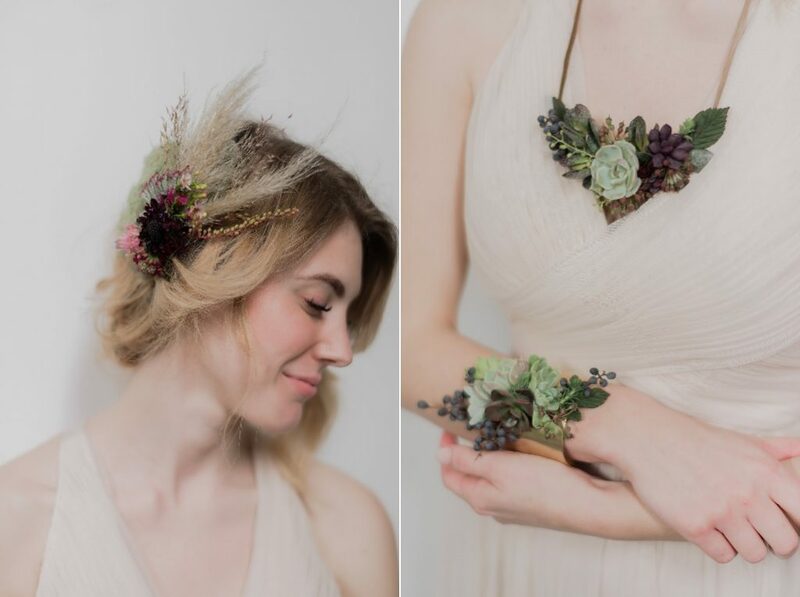 If you love succulents and all the tiny details that nature provides in the form of buds, florets, petals and seedheads, then Susan’s Floral Jewelry style is just for you. She began our time together by asking each student to introduce herself, her business and her interests. Susan connects with other humans, especially other creatives, in a meaningful and authentic way — her true spirit came through so easily. Step-by-step, the tiny pieces are attached with dots of Oasis floral adhesive. Susan demonstrated her techniques and tips for selecting, arranging and glueing the tiny bits and pieces to a jewelry base. 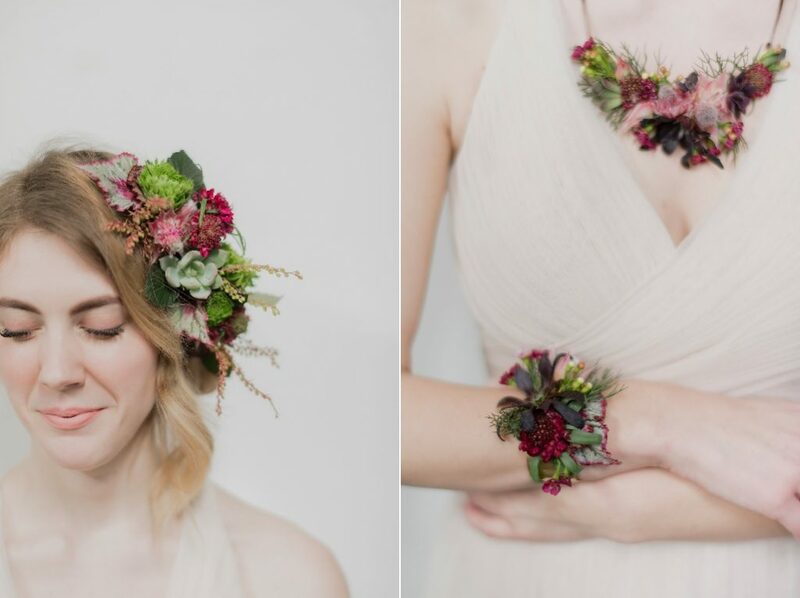 We had many options to try designing, including a metal collar or cuff, a faux leather bib or sash; a floral crown fashioned along flexible “rustic wire” as a foundation. 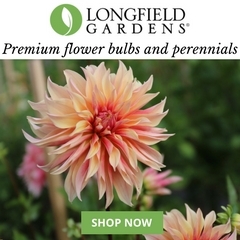 Amazing and inspiring botanical choices from local and domestic farms, provided by Seattle Wholesale Growers Market. 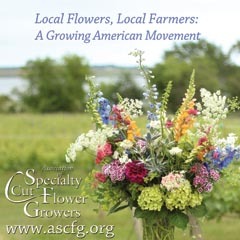 The Market provided the most generous (and irresistable) array of ingredients — all local and American-grown, of course. 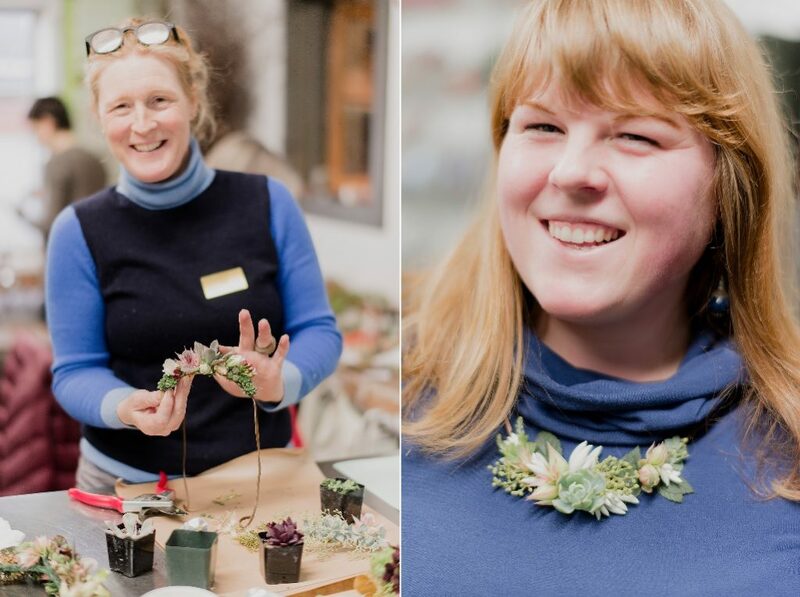 We had cut foliages and flowers; we had potted plants including succulents, Rex begonias and orchids; we event discovered that assistant Danielle Bennett had sourced foraged ingredients such as ivy seed pods. 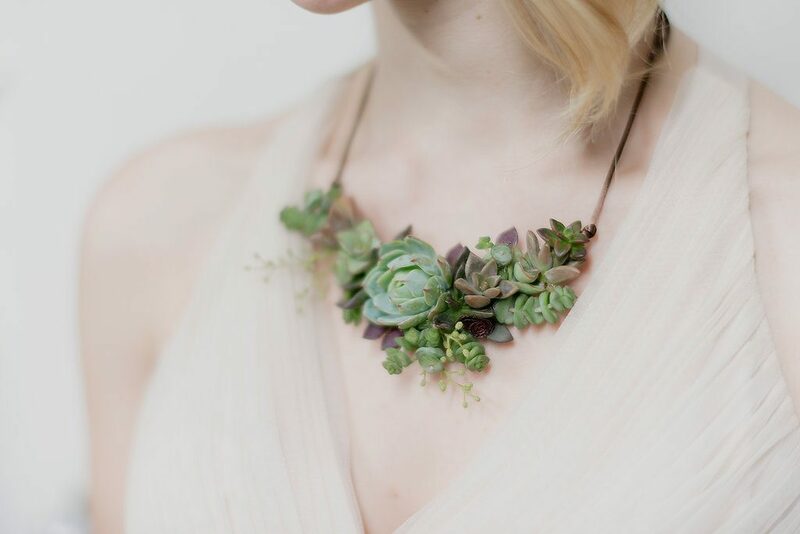 Here’s the charming succulent necklace I made for my mother. I’m convinced she’ll be the most stylish woman at her retirement park in Mesa, Arizona. Please enjoy these beautiful images, and feast your eyes on the diversity of styles produced by 12 individuals. That’s the special part about working with Susan. 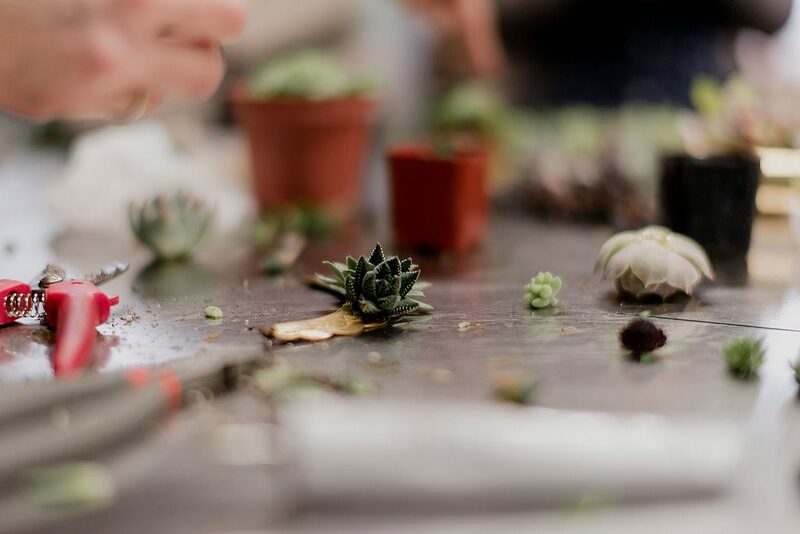 There is no confining “recipe”; rather, she encouraged each participant to explore and discover what inspired her. 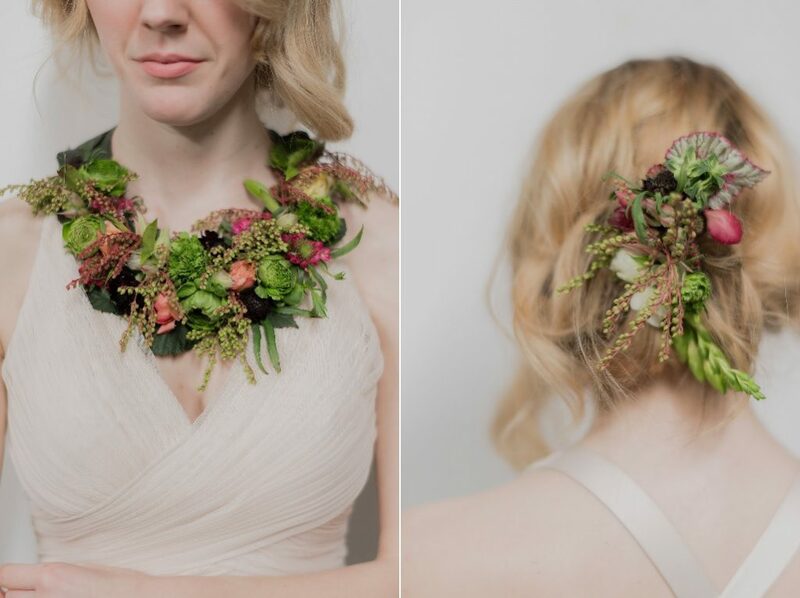 The “bib” pattern (right) and my application of tiny leaves, pods, flowers and berries to create a beautiful botanical “collar” (left). 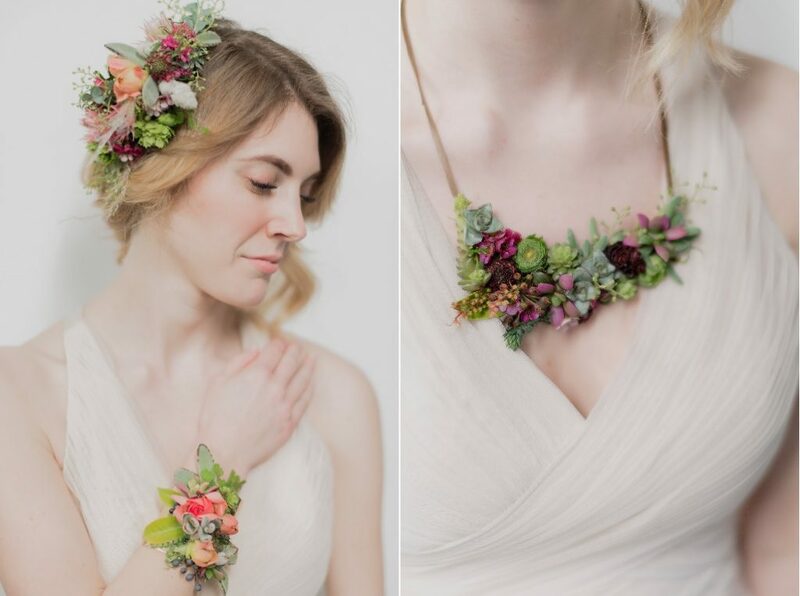 Pieces by Maura Whelan of Casablanca Floral Design. 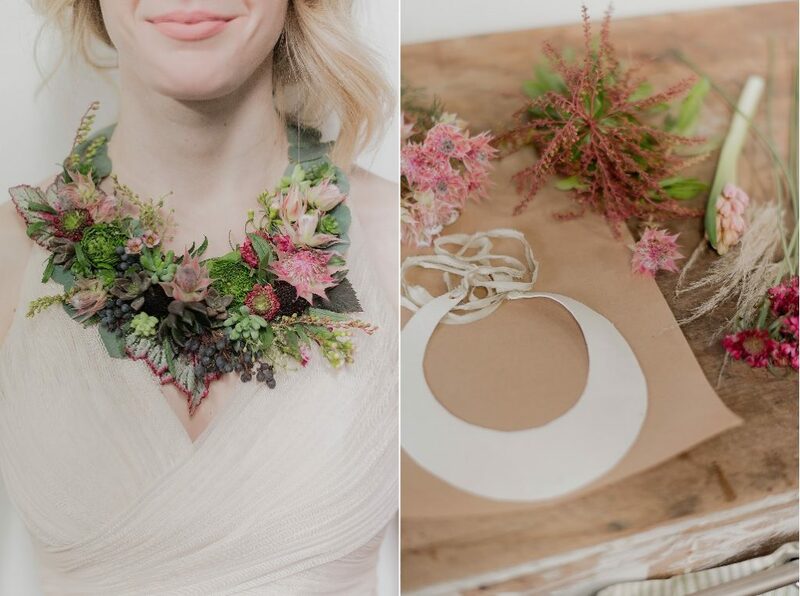 PIeces by Anne Bradfield of Floressence. 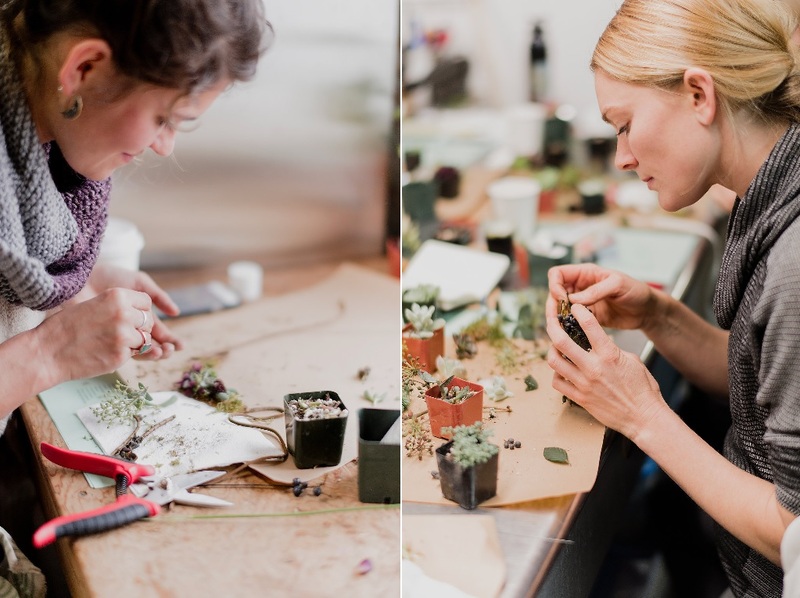 Maddie (left) and Katie (right), rendering finely-detailed jewelry from nature’s tiny pieces. 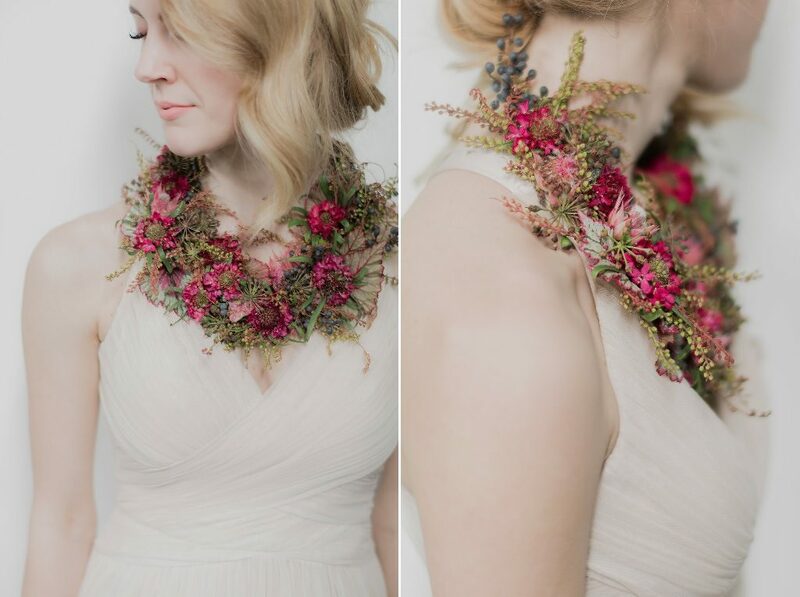 Our workshop photographer, Cozbi Jean Hultz, took time to turn leaves and petals into a collar that feels almost woven of fibers. Workshop students get intensely focused on their creations. 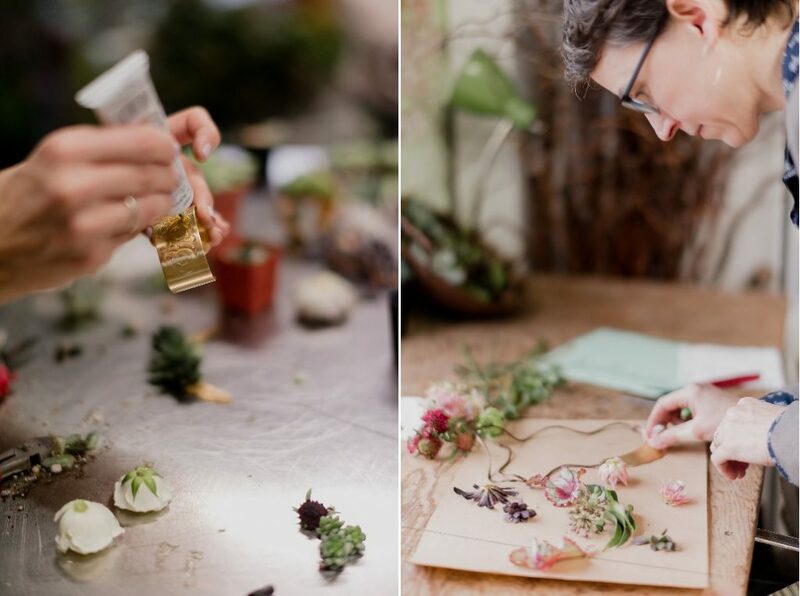 This flower workshop and creative retreat will focus on innovative, updated trends in floral creations and event styling. 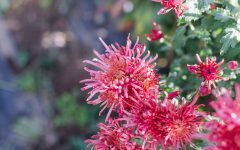 Join an inspiring escape on Whidbey Island designed to recharge your business as well as your creative juices, with Susan McLeary of Passionflower and others at a cozy Pacific Northwest winery. 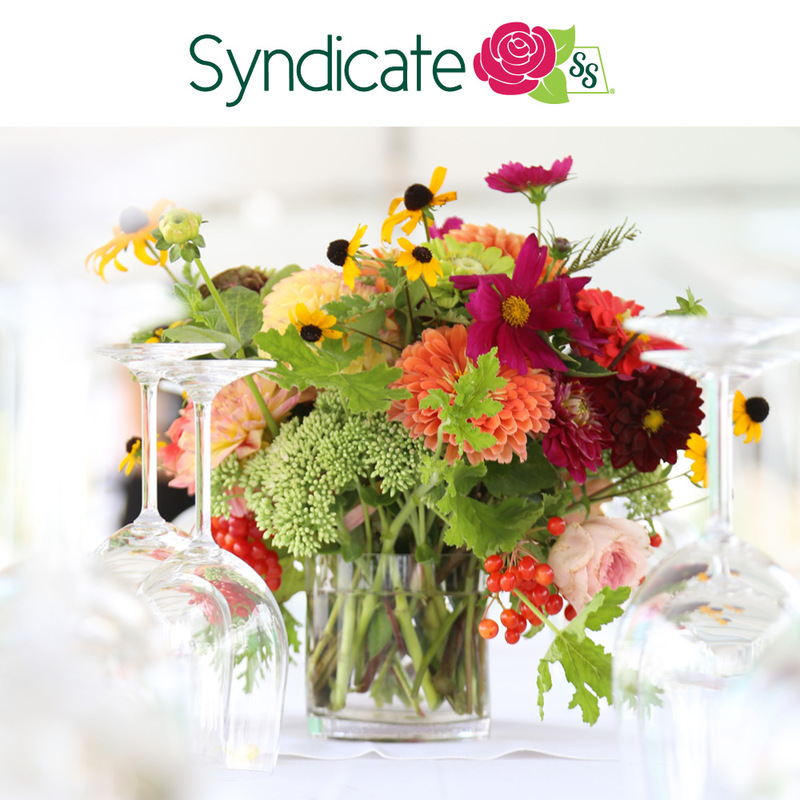 This design getaway is designed to help you develop your creative voice, refine and update your floral skills, perfect your tablescaping game, and gain hands-on experience creating a large floral installation without foam. 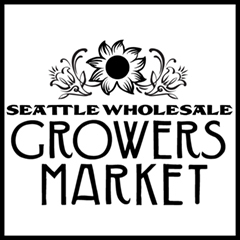 Sourcing, pricing, tackling creative challenges, staying renewed and inspired, working with local flower farms, and more, will be covered. 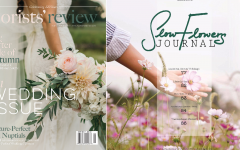 Each student will have hands-on experience and all student work will be professionally photographed with professional models for use in portfolios, websites and branding. 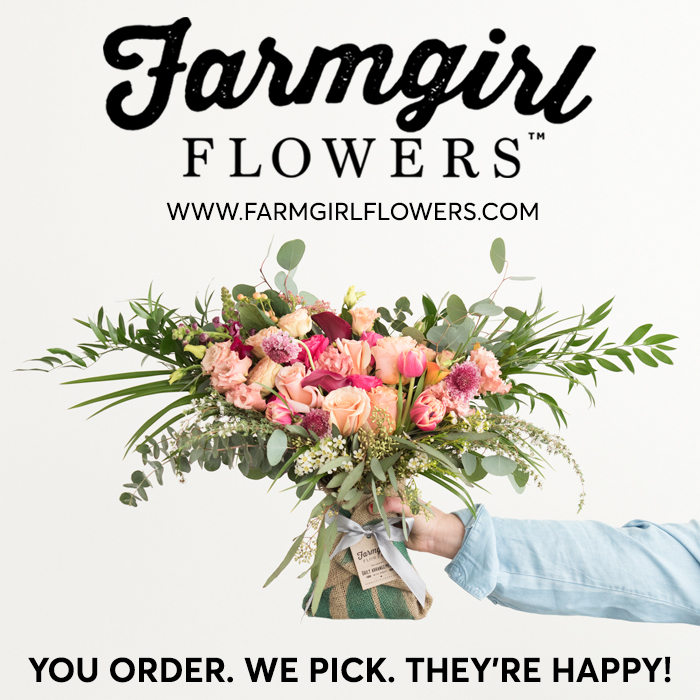 All florals are locally-sourced or American grown product, including an abundance of varieties from Whidbey Island flower farms.